Windsor Regional Hospital - Recognizing Nursing Excellence at WRH! Recognizing Nursing Excellence at WRH! Nurses at Windsor Regional Hospital and Hôtel-Dieu Grace Healthcare were honoured last Wednesday at a special ceremony to recognize nursing excellence and continuing education efforts. 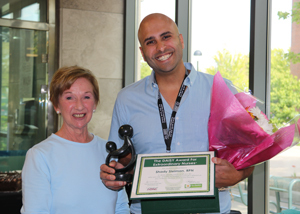 Congratulations to our two Daisy Award winners, both nominated by patients who submitted heart-warming stories about compassionate patient care. Jeanne Mance Extraordinary Nursing Care Awards, which go to a nurse who continually goes above and beyond to provide compassionate and professional care to patients and exemplifies teamwork, compassion, stewardship and respect, were given to Lisa Gawdunyk, an RN at the Met ED, and Shannon Siwek, an RPN from the 8th floor at Ouellette. Both recipients received multiple nominations from their colleagues! 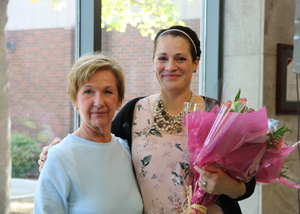 Two WRH RNs were also named as recipients of the annual Lori Dupont bursary: Amy Lynn of the Cancer Centre, who is seeking certification by the Canadian Association of Nurses in Oncology, and Kaitlyn Mazzanti of the Met ED, who is pursuing a Master’s Degree from the University of Windsor towards her goal of becoming a Nurse Practitioner. 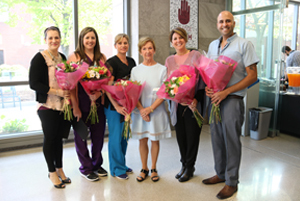 Winners from HDGH who were also recognized at last week’s event were: for Jeanne Mance awards, Kim O’Keefe, RPN, Inpatient Rehab, and Jillian Grant, RN. 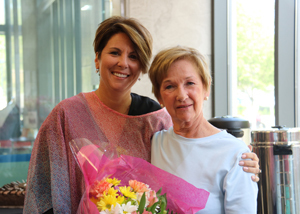 CMC; and for Lori Dupont bursaries, Jo-Dee Brown, RN, Virtual Care Coordination Team and Valeriya Pavlova, RN, CMC. Congratulations to all of our excellent RNs and RPNs across Windsor’s hospital system!